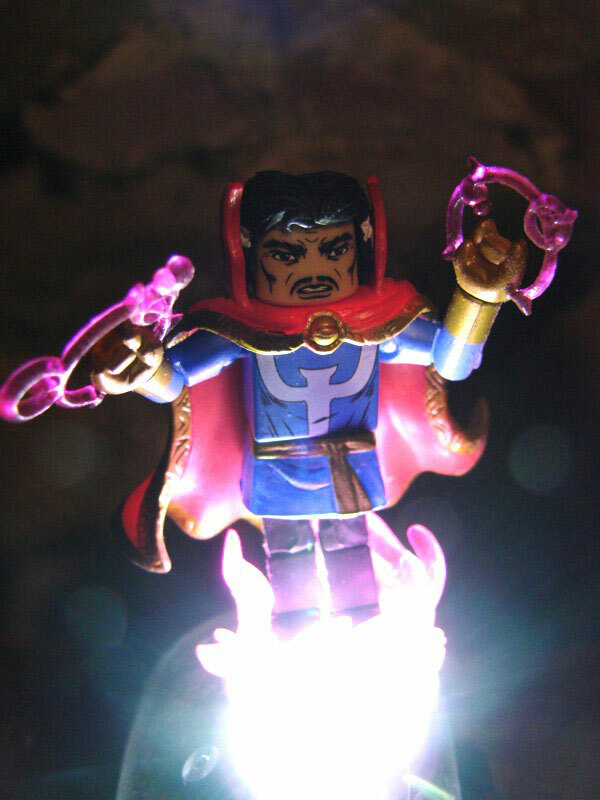 Photographic Evidence of Strange Tales Marvel Minimates Uncovered! 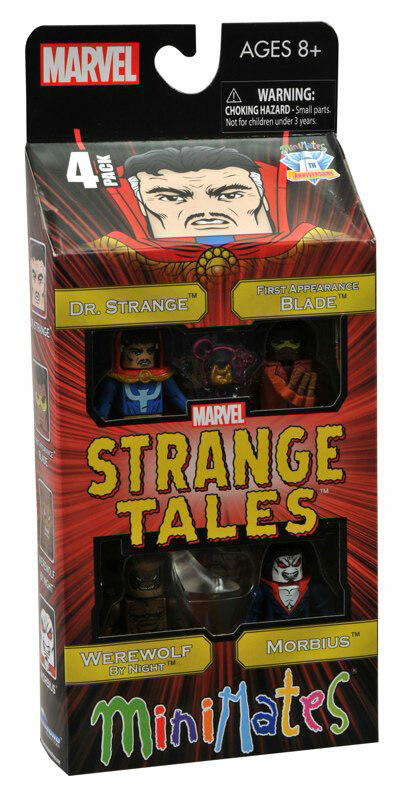 March 2013 - The Marvel Minimates in Diamond Select Toys' upcoming "Strange Tales" box set were inspired by classic Marvel horror comics of yesteryear, but until today they have been only legend. However, new photographic evidence has surfaced that captures the box set's four characters in their natural habitats, proving once and for all that these Minimates are real... and awesome! Marvel Minimates Strange Tales Box Set Gets Even Stranger Packaging! February 2013 - The strangest set of Marvel Minimates ever just got a little stranger! Sorcerer Dr. Strange takes the spotlight on the new packaging for the Strange Tales box set, featuring Strange, First Appearance Blade, Werewolf by Night and Morbius the Living Vampire! 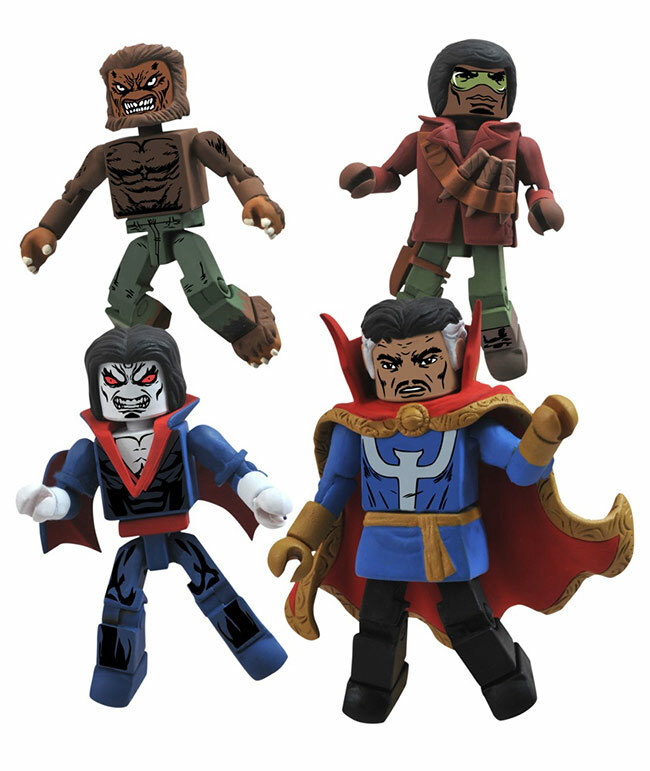 Due to arrive in April, the set of four Minimates includes some new, character-specific accessories, like Blade's wooden stakes (including one with a throwing effect), a flight base for Morbius, and Dr. Strange's spell-casting hands. Each Minimate stands 2 inches tall and has 14 points of articulation to re-create all of the classic Marvel covers of the 1970s. Check out the comic-book-inspired packaging below!